PLAMONDON, JACQUES-ÉDOUARD, notary and public speaker; b. 18 Oct. 1862 at Quebec, son of Jacques Plamondon, a sailor, and Émilie Chalifou; m. 25 May 1891 Marie-Isabelle Simard in Charlesbourg, Que., and they had eight children; d. 13 Oct. 1928 at Quebec and was buried 16 October in the Saint-Charles cemetery there. Jacques-Édouard Plamondon attended the Petit Séminaire de Québec from 1876 to 1884. He won a number of year-end awards: second prize for excellence in sixth form (Rhetoric) in 1882, second prize in religious education in 1883, and second prize in his final year (Philosophy) in 1884. Following his classical studies, he enrolled in the faculty of law of the Université Laval, where he obtained his bachelor’s degree in 1887. He was accepted into the profession of notary on 6 October of that year and began practising law in Saint-Roch ward in Quebec City. Plamondon certainly was well regarded by his colleagues; he served as inspector of notarial offices from August 1903 until 1918 and he was the author of several theoretical articles in La Revue de notariat published in Lévis. Active in public life, he was one of the founders (along with Stanislas-Alfred Lortie* and others) of La Libre Parole, a Quebec weekly launched in 1905 which took a nationalist stance and valued the social concerns of the church, just as its French namesake did. Plamondon wrote several political articles for it. At the turn of the century there was a strong resurgence of anti-Semitism in a number of western countries. The publication of pamphlets and especially such highly publicized trials as those of Alfred Dreyfus in France, Menahem Mendel Beilis in Russia, and Leo Frank in the United States bore witness to a rising hatred of the Jews. At the same time, in the province of Quebec a clerical-nationalist elite was promoting anti-Semitism, to which certain religious, social, and political groups (such as Action Sociale Catholique and the Association Catholique de la Jeunesse Canadienne-Française) were proving receptive. It was in this context that Plamondon, under the auspices of the latter organization’s Cercle Charest, gave an anti-Semitic speech on 30 March 1910 at the École du Sacré-Cœur, which was run by the Brothers of the Christian Schools in Saint-Roch parish, Quebec. Quebec was a city with about 75 Jewish families, for the most part active in business. He had been invited by notaries Arthur Duval and Jules Vallerand, who are said even to have suggested the topic for his address. The main lines of his argument were drawn from anti-Semitic French writings, including two works of Édouard Drumont, La France juive, essai d’histoire contemporaire and Le testament d’un antisémite, which had been published in Paris in 1886 and 1891 respectively, and Maximilien de Lamarque’s Le juif-talmudiste, résumé succinct des croyances et des pratiques dangereuses de la juiverie, présenté à la considération de tous le chrétiens, which had come out in the French capital in 1888. Plamondon began with the claim that “the Jew, by his beliefs and by his acts, is the enemy of our faith, our lives, our honour, and our property.” Much of the address denounced passages from the Talmud, a sacred text of the Jewish tradition which in his view incited hatred of Christians and condoned crimes of the worst kind. Plamondon criticized the Jews for refusing to observe Sunday and urged his listeners, among other things, to stop patronizing their commercial endeavours. The lecture was published in La Libre Parole on 16 April; it was later distributed as a pamphlet printed by the newspaper and was entitled Le juif: conférence donnée au Cercle Charest de l’A.C.J.C., le 30 mars 1910. In the days after the lecture, there were sharp exchanges in the Quebec press between Catholic newspapers (La Libre Parole and L’Action sociale) and liberal ones (La Vigie and Le Soleil). Early in June several young people insulted some Jews by repeating Plamondon’s accusations. They also attacked and molested other Jews and broke windows at the synagogue and at the home of Benjamin Ortenberg, a Jewish shopkeeper living at Quebec. Arrests were made and charges laid. Of the seven accused, aged 12 and 13, five were fined. Louis Lazarovitz, president of the congregation Bais Israel (which included Quebec residents of the Jewish religion), and Ortenberg launched an action for libel against Plamondon as the speaker, and René Leduc as the printer of the pamphlet. Ortenberg retained the services of Lawrence Arthur Dumoulin Cannon*, a future judge of the Supreme Court of Canada. 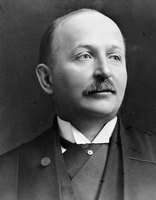 Lazarovitz entrusted his case to three Montreal lawyers, Samuel William Jacobs*, Louis Fitch, and Gui-Casimir Papineau-Couture. The defendants turned to lawyers close to the nationalist movement. Eusèbe Belleau, a professor of law at the Université Laval, who had been chosen bâtonnier of the bar in the judicial district of Quebec that year, undertook Plamondon’s defence; Joseph-Édouard Bédard, who had adhered to the nationalist program of Henri Bourassa* after leaving the federal Liberal party, represented Leduc. 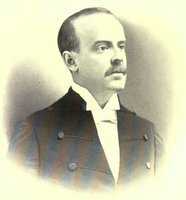 Jules-Alfred Lane acted as consulting counsel; an erstwhile Liberal member of the Legislative Assembly for Québec-Est, he had done battle against Mayor Simon-Napoléon Parent*’s team and reportedly became a municipal councillor for Saint-Roch ward. The trial was held from 19 to 22 May 1913 and aroused tremendous interest. In his statement, Ortenberg alleged that Plamondon had acted with the intent of causing harm to him and to his co-religionists and compatriots. He claimed damages of $500 for the attack on his honour and the loss of part of his clientele. The lawsuit obviously had a second objective: to prevent other speeches of this nature from being given in a city where Jews constituted only a minority. Since almost all of them were in business, some had reason to fear the effects of the boycott suggested by Plamondon. Called as a witness, Rabbi Herman Abramowitz* was even more explicit about the dangers posed by the spread of anti-Semitic publications; he established a connection between this affair and the trouble Jews experienced in Europe. Mr Justice Albert Malouin of the Quebec Superior Court for the district of Quebec dismissed the case of Ortenberg and Lazarovitz. Since Plamondon’s remarks had been aimed at the Jewish community in general, he had not infringed the rights of a particular individual. This decision was consistent with the case law of the time, when individuals were free in principle to express their views, even if these views were vindictive or, indeed, hateful towards ethnic or religious groups. Only an individual who could prove that he or she had personally been the target of slander or libel and had suffered a loss could sue for damages in his or her own name. Ortenberg immediately appealed the judgement and the case was heard by a court consisting of the chief justice of Quebec, Horace Archambeault*, and four judges, Norman William Trenholme, Alexander George Cross, Henry George Carroll*, and Louis-Rodolphe Roy. Besides declaring that it was adhering to case law regarding libel, the court acknowledged that members of a community were entitled to sue for libel or slander when that collectivity was small, since individuals in such a group might suffer. On 28 Dec. 1914 the court sentenced the defendants, Plamondon and Leduc, to pay $50 and $25 respectively to Ortenberg. 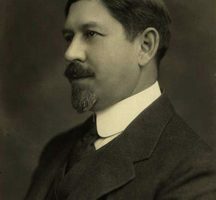 In February 1919 Jacques-Édouard Plamondon was in the headlines again in connection with the embezzlement of funds from an estate. The judge, convinced that Plamondon had been suffering from mental illness at the time of the offence, ordered him to be confined to the hospital of Saint-Michel-Archange, where he stayed for at least five years. According to a medical report, Plamondon had suffered all his life from a kind of religious fervour. The following September, the Quebec Provincial Board of Notaries revoked his licence. Besides revealing the presence of anti-Semitism in Quebec City, the Plamondon episode also showed the determination of the Jewish community there to fend off attacks by recourse to the judicial system. The lecture by Jacques-Édouard Plamondon was published under the title Le juif: conférence donnée au Cercle Charest de l’A.C.J.C., le 30 mars 1910 (Québec, [1910?]). AC, Québec, État civil, Catholiques, Cimetière Saint-Charles (Québec), 16 oct. 1928. ANQ-Q, CE301-S7, 25 mai 1891; S22, 19 oct. 1862; CN301-S369, 1887–1919; E17, dossier 819 (1919) (versement 1960-01-036/370); dossier 1651 (1924) (versement 1960-01-036/462); dossier 3050 (1921) (versement 1960-01-036/407); TP9, S1, SS5, SSS1, dossier 940 (1914) (Ortenberg c. Plamondon) (versement 1960-01-352/157); dossier 941 (1914) (Ortenberg c. Leduc) (versement 1960-01-352/157); TP11, S1, SS2, SSS1, dossier 778 (1910) (Ortenberg c. Plamondon) (versement 1960-01-053/563); TP12, S1, SS1, SSS1, dossiers 200591–606 (1918–19) (Le Roi c. Plamondon) (versement 1960-01-357/186). Directory, Quebec and Lévis, 1910. Dominion Law Reports (Toronto), 14 (1913). J. Hamelin et al., La presse québécoise, 4: 210–11. Histoire du catholicisme québécois, sous la dir. de Nive Voisine (2 tomes en 4v. parus, Montréal, 1984– ), tome 3, vol.1 (Jean Hamelin et Nicole Gagnon, Le XXe siècle: 1898–1940, 1984). Jacques Langlais et David Rome, Juifs et Québécois français: 200 ans d’histoire commune (Montréal, 1986). “The Plamondon case and S. W. Jacobs,” comp. David Rome, Canadian Jewish Arch. (Montreal), no.26 (1982). Quebec Official Reports: King’s Bench (Quebec), 1915. J.-E. Roy, Histoire du notariat au Canada depuis la fondation de la colonie jusqu’à nos jours (4v., Lévis, 1899–1902), 4. Univ. Laval, Annuaire, 1884–85. Sylvio Normand, “PLAMONDON, JACQUES-ÉDOUARD,” in Dictionary of Canadian Biography, vol. 15, University of Toronto/Université Laval, 2003–, accessed April 22, 2019, http://www.biographi.ca/en/bio/plamondon_jacques_edouard_15E.html.